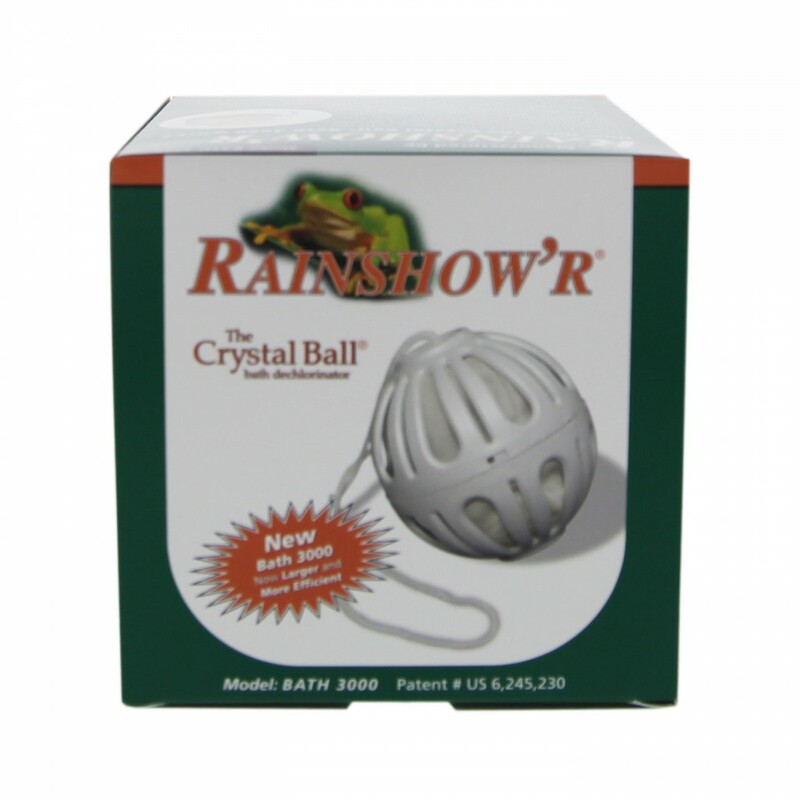 The Rainshow'r Bath-3000 dechlorinating ball reduces chlorine in bath water by simply circulating the ball around your bath tub. 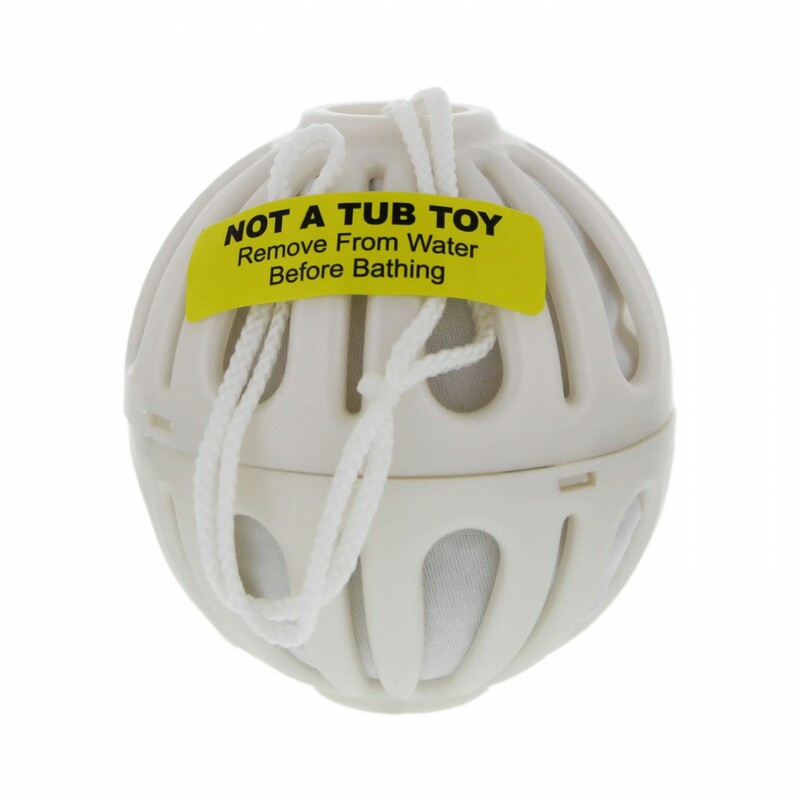 It is recommended to pull the bath ball through the water for 5 to 7 minutes, using the attached 12-inch cord. Attaching the ball to the faucet is NOT recommended. Remove the Bath 3000 before adding any bath salts and before using the bath water. 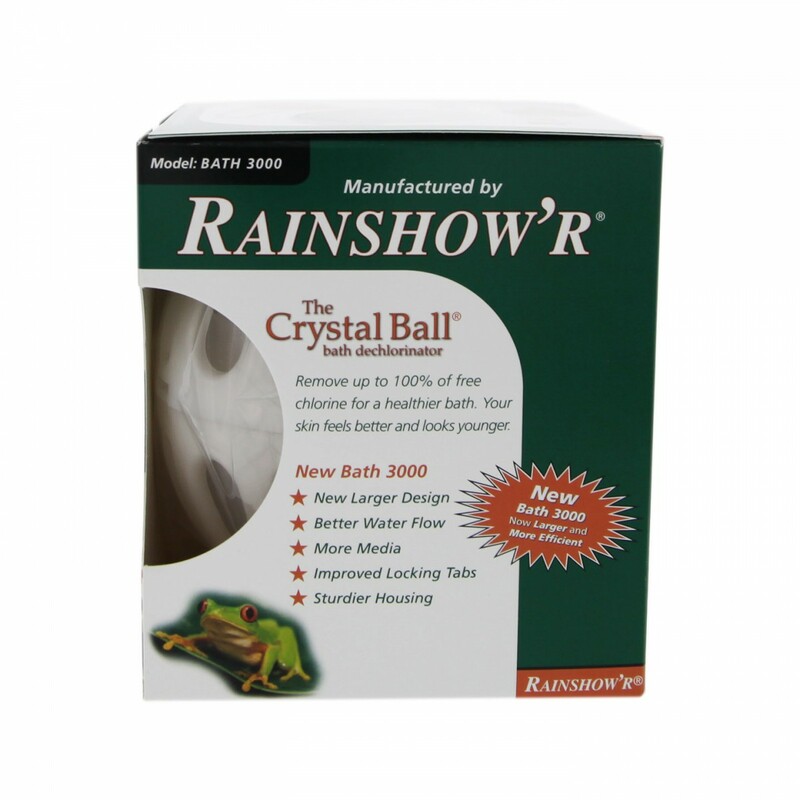 The Rainshow'r Bath-3000 uses both KDF-55 Formula 73 Media and Quartz Crystals to reduce many different contaminants from your bath water for a cleaner lighter feel! 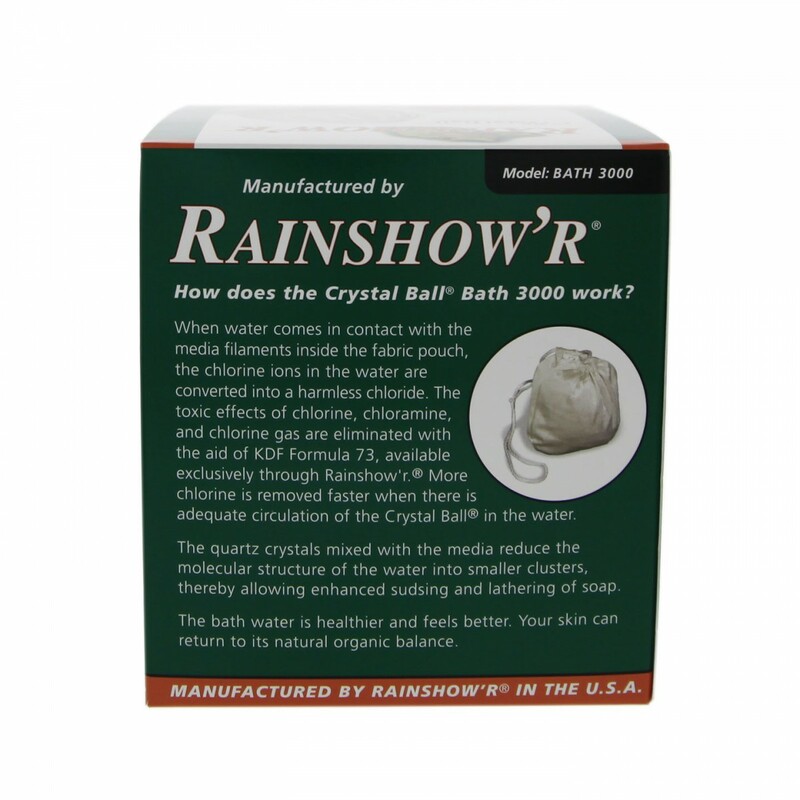 Improves lathering of soaps, and sudsing of water. 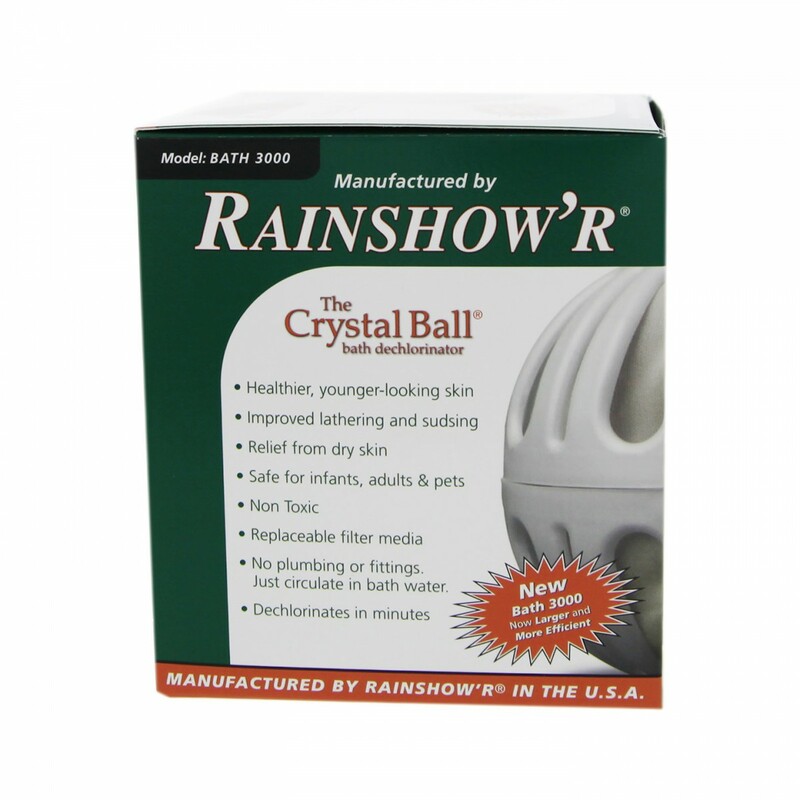 The Rainshow'r Bath Crystal Ball provides relief from dry skin. 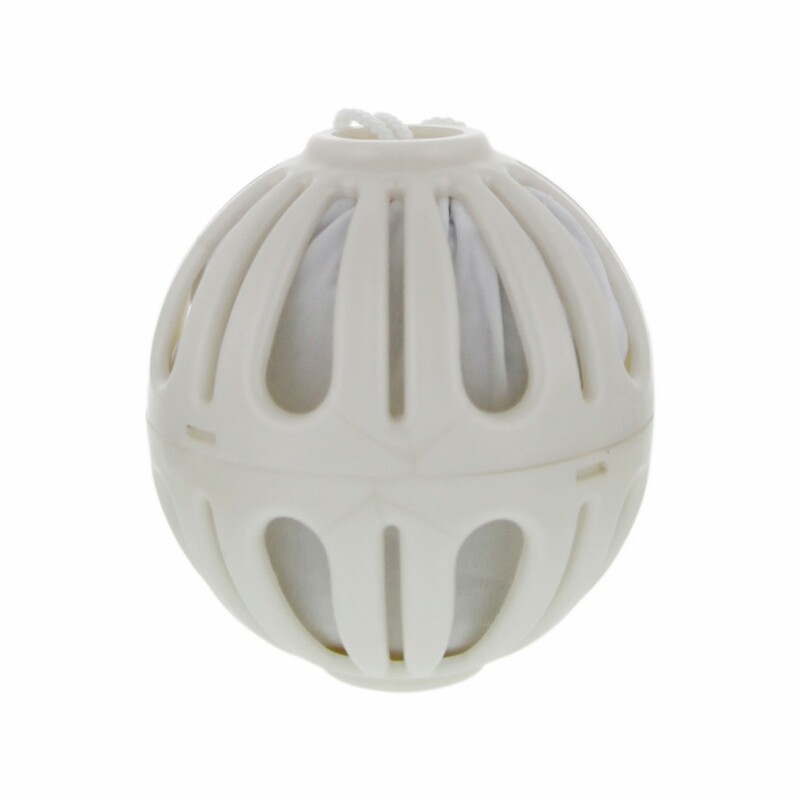 The Bath Ball media can be replaced with the RB-3000 Replacement Bag. 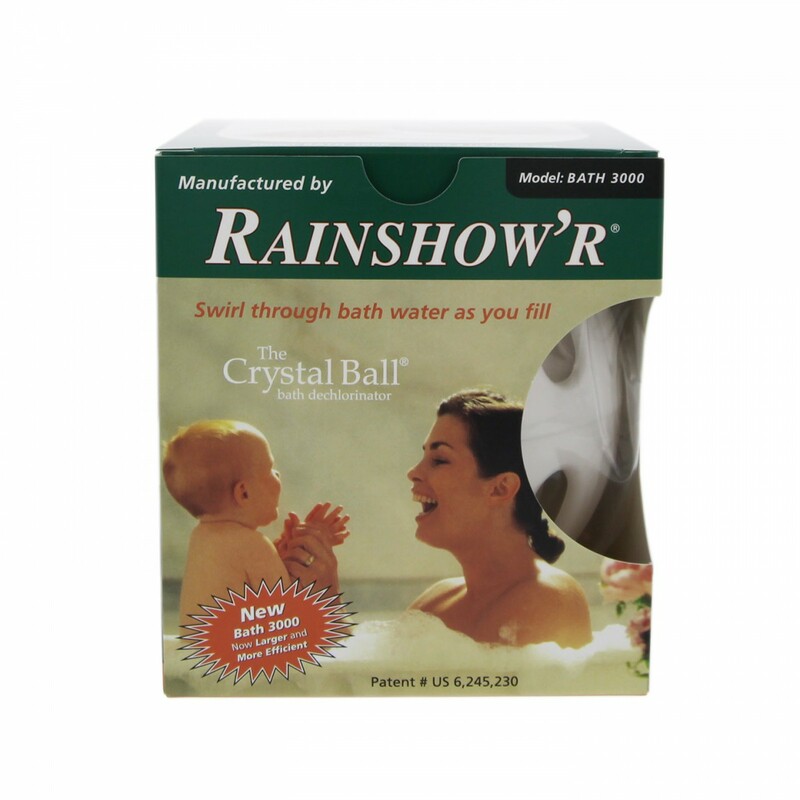 Replace after approximately 200 baths or 1 year.